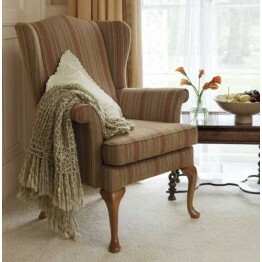 A Parker Knoll Hartley chair is a wonderful addition to a living room, lounge or snug. A truely comfortable seat which for many years has offered an improved sitting position for generations of users. The seat cushion is reversible and is filled with a high density resiliant foam that comes back to shape almost immediately. You can choose different wood shades on the legs, and also there is a huge range of fabrics available for this wonderfull Parker Knoll armchair. We offer free delivery across mainland England & Wales as well as our year round keen prices. A Parker Knoll Hartley chair is a wonderful addition to a living room, lounge or snug. A truly com..